"Who Else Wants To Host Teleseminars To Make Outrageous Profits Online?" Teleseminars are the most effective way to reach your target market with your message. People will attend your calls – both free and paid – while you speak and answer questions on a topic of interest to them. This works in any niche, and you can give your teleseminars from home, or from wherever you have an Internet connection. 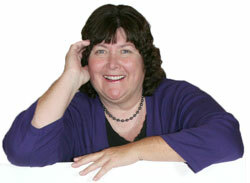 My name is Connie Ragen Green and I started hosting my own teleseminars during 2006. I was so nervous the first 10 times I did it. My mouth would get dry and sometimes I even forgot to start recording. But then it got easier and I began to make money, even when I was giving a free teleseminar. I knew that this was the way to build a profitable online business. Soon I was creating products and interviewing others in my niche. 'How To Host Profitable Teleseminars'.